Great wealth is being accumulated by those who are taking advantage of the highest corporate profits in 40 years! This "BULL MARKET" began October 10, 2002; it is not over! The Market Cycle is about to roll forward; releasing trapped "animal spirits" to find a new investment home. While the mid-cycle "correction" has been under way for the past several months, a speculative boom is getting underway in areas where many have given up. Learn the lessons of the market cycle as presented here and you can become very wealthy! The market cycle is sometimes depicted as a wheel. Others choose to show it as a sine wave. Don't get confused as the two ways of looking at the market are the same. If you draw a horizontal line at the height of the center of a wheel and roll the wheel forward, the pattern traced by any point on the wheel is a sine wave. I often talk about the market see-saw; here again, when one point on a wheel is at its peak the opposite point is at the bottom. The perfect market cycle would be like an eight car roller coaster train moving down a smooth sine wave. At the same time the front car reached the top, the last car would reach the preceding bottom. There is no perfect market cycle. When the famous "animal spirits" are involved, you see violate swings. For example, several months ago, I wrote that the price of oil would soon come down sharply. The main reason I gave was because the extraordinary high levels of oil in storage was not consistent with the price. It takes no great imagination to appreciate that the law of supply and demand does indeed work over time. The hoarding of supplies was initially a rational move given the risk of an "Iranian Crisis". However, greed took over and recently speculators were bidding $80 per barrel for oil to be delivered in December even with over a trillion barrels sitting in storage and available at a lower price. At the same time, millions of individual investors were pouring their money into energy and energy services stocks. Investors were scaling the roller coaster infrastructure to climb on the train just as it approached the top of the hill. The tide is turning (the wheel is turning, moving down the sine wave, the see is about to saw). As energy stocks have been coming down in price, a large segment of the population is "buying on dips". The train is now flying along on momentum and, on this trip, the train can never again reach the old height. Individual investors who jumped into energy late are in already down a good distance. Others made money on earlier purchases but they keep buying more, their average cost of shares is going up. Still others have seen the light and are cashing-out. The exit out of energy may soon look like a theater where someone in the front is screaming fire at the top of their lungs. When this money rushes out of energy, it will find a new home. Thus the see-saw makes its move, energy down and ______ up. One of my biggest frustrations is that there are millions of Americans who are over-weight energy stocks and do not even know it. Millions of Americans have invested in mutual funds which have also crowded into the oil patch. To add insult to injury, many of these funds are charging excessive fees while consistently under performing the market. Back to the market cycle: the train does not go down the track at a consistent speed. Like a freight train, it slows down, stops and even backs up to take on a bigger load. The energy cars ran out of room a couple of years ago so the train added extra cars. The weight of the energy cars is affecting the performance of the entire train. The great news for smart investors is that as the energy cars are now headed down from the peak, the whole train is about to pick up speed. You have to read the market to see how fast the train is traveling and what is starting to rapidly climb the next hill (next wave on the sine-wave). WHERE WILL ALL THE OIL MONEY GO? The wholesale price of gas is now around $1.57 per gallon. The "normal spread" between wholesale and retail is around 60 cents per gallon (mostly taxes). The retail price will soon adjust to around $2.17 per gallon. Over the past 6 days, the Rydex Precious Metals Index is down 14.5% and the Rydex Retail Index is up 4.27%. Leisure and transports were up strong while energy services were not far behind precious metals. Over the past 20 days, one small cap fund was down 9.41% while an electronics index was up 8.46%. Ah! Guess which was the number one performing stock among the Dow and NASDAQ 100 over the past 20 days! CAL was up 21.85% in 20 days. BEAS was close behind, up 21.15%. Williams Oil was the down leader, -5.9% and XOM was close behind at down 5.8%. Yesterday, the airline index was up 4.88%! Should the wholesale price level off at today's price, how would you spend your 80 plus cents per gallon savings? The above question is bigger than it seems. We are living through a special time. Major industrialized nations such as Canada and UK have not had a recession since 1991. Like the US, Canada and the UK were in a slowdown similar to the one we are in now on 9/11/2001. Had we not been attacked, we too might have skipped the historic "manufacturing" recession. Americans investors have been slow to appreciate the beauty of exporting volatile light manufacturing jobs while retaining the management, design and research and development jobs. Schumpeter and Ricardo have been under appreciated economist for too long. School kids should be taught about creative destruction and comparative advantage. So many kids today are so good at so many things. I watched an elementary kid do no hands forward flips yesterday. There were only a couple of kids in my high school who could do a no hands flip. Kids need to understand that even if the top surgeon in the land can type faster than his secretary, he (or she) should not type his own notes. The point here is that the world economy is so strong that $78 oil could not kill the goose. Now there are plenty of golden eggs lying around. 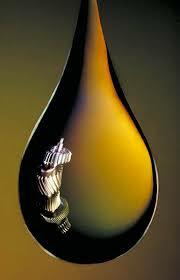 The decline of oil from $78 to $64 means that consuming nations will not spend 1.19 Trillion Dollars Per Day! I hope you can see the reason investors should be excited. If you are not excited, go back to see what happened after other collapses in the price of oil. Go back and read the August 1982 Business Week Magazine. The lead article spoke of the death of equities because high interest rates and high oil prices had killed the economies of the world. Over the next 9 months, stocks flew! Democrats and Republicans should realize that with retail gas on the way to $2.17 (at least), with public trials of the "master mind" of 9/11 ready to start, with a stock market on fire and with plentiful jobs available, there is not likely to be a change in the leadership of the congress. While I understand the consensus opinion, confirmed by the betting sites, is that the house will go Democratic, these folks also mistakenly believe the wheels are about to fall off the economy. The public has braced for a housing led collapse that was disputed strongly by the market yesterday. The bottom line is that the fear of tax increases is subsiding. Even if the house does flip, the Senate and President will prevent tax increases. Low taxes and low inflation are the mother's milk of stock performance. Hold onto your hat because the powerful forces of increasing interest rates and increasing commodity prices have now turned. Instead of pulling inflation higher, these forces will now tug downward. Since inflation is a lagging indicator and since stocks are "the" leading indicator, stocks will climb as interest rates and oil prices fall. I must throw in a note of caution. Investors typically wait until after a really nice move in the market before adding to their accounts. Over the last 20 days, the Bullish Percentage Index for oil stocks has dropped by 49% and the Bullish Percentage Index for Consumer Discretionary stocks has increased by 45%. Under these circumstances, it would not be unusual for the market to "digest the move". It could pull back or trade sideways for a while. Just a little bad news out of the Middle East could cause a significant bounce in energy and a drop in the transports. Just remember that I have never found anyone who can profitably predict short term moves. Besides, the action of the past couple of weeks is that bad news is not as powerful as this market. It took a long time for this market to get so well positioned. My guess is for a 30% up-move or more in the broad averages over the next 9 months. I did an informal poll of 6 business executives last Friday night. Six of six believe Democrats will win the house, taxes will be raised, the war in Iraq is getting worse and that negotiating with Iran is hopeless. The WOW (wall of worry) has been built to the heavens. Stocks climb walls of worry. Since the dawn of time, people have worried about the coming of the end of time. Hundreds of books and movies have been written about the pending doom. Individually, we all should "get right with God" because our death in this world is near. As King David said, "death is only a step away". No man knows when the world will end. John Nelson Darby, is the father of a Christian movement that "has predicted or predicts the end of time". A few years after Darby "interpreted" the book of Revelation, a scientist from Sweden, Svante Arrenius, first proposed the concept of "Global Warming". Today, the disciples of the one group see the world ending "soon" at the hand of God and the disciples of the other group sees the world ending "soon" at the hand of man. Some years before Darby and Arrenius, Thomas Malthus postulated that exponential population growth would eventually overwhelm agricultural growth. The world is doomed because excessive demand for resources creates social and political unrest. Today, tangents of all three concepts swirl around the earth in all sorts of varieties or combinations. The one theory is used to support or defeat the other, which ever is most convenient at the time. A recent article in the Economist Magazine, "The Heat is On", is written to say that Global Warming is the "real problem". In 1975, the Newsweek front cover article, "The Cooling World", supported Malthus at the expense of Arrenius. The article said, "... a drastic decline in food production..." was at hand because of the cooling world. Those who continue to "push" the "Malthusian model of disaster" have run into a major problem, instead of geometric growth in population, since the 1970's, we have seen geometric growth in food production. Indeed, a growing number of industrialized nations are now headed toward population decline while enjoying the luxury of employing ever increasing numbers of citizens in service work, including religious, medical, educational and artistic pursuits and employing ever fewer citizens in agricultural and manufacturing jobs. In 1956, Marion Hubert, an American Scientist, postulated that world oil production was nearing the peak. Malthusians have jumped on his theory and, again, one would think the world is coming to an end because we are running out of energy. They keep having to slide the date back, but boy it sure is going to be bad! The big problem for this group is the first law of thermodynamics which says that energy is always conserved. The extra energy being "trapped" by the greenhouse gases of the "Global Warmians" means that the planet earth is continuing to be a "carbon sink" which enjoys a growing supply of energy. The extra energy is being used to grow more plants which in turn can be used for food or fuel. I have written the above very abbreviated history of "gloom and doom" thought in order to say that smart investors should "slay the dragons of old". It took a very long time for man to realize that fire breathing dragons were not going to "kill us all". We all need to become rational environmentalist and rational conservationist. We should not cut of our own nose to spite our face. We should do our share to make this world a better place without forcing our solutions onto others. You need to have windmills in your neighborhood whether you want them or not. There is a lot of manure in this world and some would like to shovel their pile into your back yard. Speaking of manure, the stuff emits methane gas that is 20 times as powerful a greenhouse gas as is carbon dioxide. One of the 39 ethanol refineries now being constructed in America is a plant that will convert billions of pounds of manure to ethanol. The beautiful part of the process is that the methane gas emitted will be the energy used in the conversion process. Folks, there are powerful forces at work in this old world of ours. Thermodynamics is the study of effects of changes in temperature, pressure and volume on physical systems. When a system is in equilibrium it is in what is called a definite state. When external forces push the system out of equilibrium "corrective" action is needed. The good news is that man is only an extremely small player in the system of the universe. We can and will do our part in little ways, such as eliminating the methane gas produced by billions of pounds of manure, but the real "work" will be done by more powerful forces. Sir Issac Newtons third law of motion which states that actions invoke an equal and opposite reaction, applies to the "correcting" process to keep this old world in a state of thermodynamic equilibrium. From 4th grade science class, we all know that plants absorb heat and CO2. The heat and CO2 that is causing such great alarm is being met by an enormous Newtonian reaction. Even if one accepts the "Warmist view" that the temperature of the earth has increased by 1 degree over the past 100 years, this degree will ultimately go into growing more plants. As long term readers know, the USA has added 80 million hectares of trees over the past 100 years. Without a doubt, there are trillions of barrels of oil available to help us conserve trees, topsoil, water and other natural resources. Economically and environmentally, it makes no sense to plow, fertilize and pesticize millions of acres of prime farm land in order to grow corn for ethanol. Now that the first "extra large pool of oil" in deep Gulf of Mexico waters has been physically confirmed, over the next several years, the "peak oil alarmist" will fade into the background. As more and more facilities are built, and as more and more processes altered to eliminate waste gases, the warmist will eventually become the dragonist of old. We live in a "brave new world". A world where more poor hungry people have received "extra" in the past 10 years than at any other time in history. Much more needs to be done. According to C.K . Prahalad in "The Fortune at the Bottom of the Pyramid -- Eradicating Poverty Through Profits", the 4 to 5 billion "under served" produce a total GDP of about 13 Trillion Dollars per year. I can't cite the numbers but I can assure you that the growth rate of computer chips manufactured has been greater than the population growth rate for a long time and it will continue to be greater for an even longer period of time. As the price decline continues and the availability and power continues to grow, silicon chips are going to help transform the world. Knowledge, communication and freedom are strongly related. As Parhalad says, "markets enable dignity and choice". The world is on the verge of a great leap forward. It is sometimes difficult to be optimistic when terrorist bombs have recently exploded in scores and scores of countries around the world. However, progress is being made and the pace of progress has increased. Because this point has been argued for ages, I don't expect to "win the debate" here and now. My bottom line is that I want to do all I can to help and the more money I make, the more I can contribute. A reader sent me a word of congratulations for calling a decline in the price of oil. I must say that the totality of my forecast has not come true yet. The "consensus of the experts" makes me all the more hopeful as the experts agree that the $65 per barrel price will hold at least through the end of the year. Few see a $50 price in fewer than 3 years and I must say that a gradual decline would be as nice as any. With car sales booming in China and many energy projects only partially completed, I try to avoid short term calls but supply and demand does work and we have never had as much in inventory. My call of a return to $30 per barrel oil in three to five years is a slam dunk when one understands that huge profits are available on Trillions of barrels of oil available at that price. My optimism includes my belief that politicians will get out of the way and let drilling comnce in other rich areas of the Gulf. The deep Gulf supplies are far enough from shore to avoid the "state tariffs" being demanded. What the government gives the government takes away! Be careful you do not fall too deeply into the 401-K tax trap! This weekend I was reading an article in Smart Money, the Sept 2006 issue, regarding this pension reform bill in Congress. According to this article, if passed, Employers would be able to enroll employees into their 401K program. This article went on to discuss that over the next 10 years the hundreds of billions of dollars in new money that would be flowing into the stock market. This article went on to discuss target-date funds and expense fees but the bottom line to me seemed to be the tidal wave of money that would be infused into the market. This would seem to be fantastic for the market. What are your thoughts? The article is correct; by allowing and encouraging companies to automatically sign employees up for payroll deductions into 401-K accounts, the participation rate is expected to soar. The mutual fund companies spent millions to "show Congress the wisdom of this law" and they are licking their chops! It is long term great news for solving the deficit as accumulated tax liabilities well eventually soar to the stratosphere. An simple example is the best way to show why. Lets say a young fellow goes to work at the age of 22 and deposits $1,000 per month year after year for 40 years. Let's say he allocates his account well and earns an average of 12% return. At the age of 62, his account would be worth about $11,880,000. His principle investment would be $480,000. Now the big question; what will the tax be on ordinary income in 40 years? Had these funds been invested outside a 401-K account, it is likely that the gains would be long term capital gains which are taxed at one half the ordinary rate. Furthermore, upon death, the inheritance would pass to the heirs and they would receive a stepped up basis, which means there would be no income taxes due! If you assume the marginal ordinary income tax rate (for the wealthy) is 50%, the taxes owed on this 401-K would be $5,940,000. There is a lot more bad news. If we assume the average expense ratio of the average fund where the money was invested was an even 1% of assets, then the balance of this account was reduced by approximately $4,450,000. There are many other considerations. Had he not invested in the 401-K, he would not have received matching funds from the company if any and he would have had to pay the ordinary income tax on the $480,000 up front instead of in arrears. By using leverage to buy real estate, the 401-K investor could probably have boosted his total after tax return by a couple of percentage points or more. This investor could easily be looking at $30 or even $60 million dollars of equity in real estate. It is usually difficult for us mere mortals to comprehend the power of compound interest. Einstein said something like it is the most powerful mathematical formula on earth. The investment industry is a high powered industry. Those who own the news media are powerful indeed. To convert my simple example to a detailed situation would take much work. Few folks are going to be swayed by my arguments. The matching money in combination with the upfront tax break is a deal that everyone should accept on 3 to 5% of ones pay. My children follow my advice and only deposit the amounts that are matched. They invest the bulk of their funds in taxable accounts but they use management techniques to reduce the taxes due (primarily they take losses short term and let winners go long term). If you put all your money in 401-K accounts 529 education accounts, Roth IRA accounts and medical savings accounts, you are hand-cuffing your money. I don't have the figures handy but an astoundingly high percentage of these funds are drawn out early. Fees and penalties are paid on the withdrawals in addition to ordinary income tax rates. It does not matter that the investments in the account were held long term; double the tax rate plus the penalties are still due. I am a believer in cash flow. Businesses can and often do lose money year after year and yet they still survive because they have enough cash available. Locking up all ones assets in accounts means that the funds cannot be used for other investments. Businesses typically avoid funding projects that offer less than a 15% rate of return. When a business finds a project that offers such a return, it borrows as much as it needs to fund the project while still keeping liquid cash available. Americans should manage their investments like a business. Just for fun, let me tell you that $1,000 per month invested for 40 years at 15% compounds to $31 Million Bucks. In our example, the snow ball has really started to roll. The account has reached $11,880,000 at the age of 62. Chances are good that this fellow does not want to pay the tax on withdrawals and uses other funds for the next 6 years until he is 68. At 12% return, which is not unreasonable in a combination of large and small stocks, the account value will have doubled again. The fellows tax liability will have jumped by another $5,940,000. If nothing else, this email should help diffuse the pessimism in the market place today. We hear a lot of gloom and doom about who is going to pay taxes after all the baby boomers have retired. The answer is that the baby boomers will. The government is not about to go broke. Our country has a low debt to asset ratio. It makes no sense to the man on the street who hears the "horror news nightly" but the USA has run a trade deficit for something like 96 of the last 100 years (the few years when we did not were in the middle of the depression or a very tough recession). The USA still receives more investment income from foreigners than we pay out. The growing amount of dollars being withdrawn from 401-K accounts is producing higher and higher tax revenues and erroneous negative savings statistics that frighten the public into investing more into 401-K accounts. The government will have the ability to tax these accounts heavily if needed. High taxes and high fees run hand in hand. In our example, the 68 year old man would be paying an annual fee of $220,000. The same money using a dart board approach would do just as well while avoiding the $220,000 in fees. Those who have 401-K accounts of $15,000 or more should push hard for greater investment flexibility. In a self managed account, one could buy individual stocks and avoid the "holding" fees. The bottom line is that one must be careful not to substantially increase the amounts of management fees and taxes one must eventually pay. Please do not say that I have recommended against investing in 401-K accounts. Again, the first few percent of matched income is a compelling offer. After the first few percent, there are reasons to consider other alternative investments. GULF OIL GUSHER DOUBLES U.S. RESERVES--IMPROVES STOCK OUTLOOK! The Gulf Oil Gusher I wrote about a few days ago is the lead story at CNBC this morning. The size is now estimate to be 15 Billion Barrels; the biggest discovery since Prudhoe Bay, Alaska. This increase doubles US domestic proven reserves. Actually, it is common knowledge that our biggest reserves are in shale deposits in Colorado, Wyoming and Utah. These reserves are estimated to be one to two TRILLION BARRELS. One of the six companies that are testing extraction techniques has applied for patents on a process that can extract the oil from for $25 per barrel or less. Not to be out done, another firm claims that it can extract the oil for less than $10 per barrel. The words could be hyped in an attempt to win future government contracts. In any event, it will be several years before commercial quantities of oil are flowing from shale. The good news is that new oil is flowing from all around the globe, significant production has recently come on line and much more will come on line in 2007, 2008 and 2009. Devon Energy, one of the stake holders in the latest Gulf Gusher, has restored 90% of production lost due to Katrina. It will most likely abandon the other 10% as being "played out" and use the equipment on this new discovery. During 2007, Devon , expects to begin production at its Merganser Gulf Project, at its Polvo project in Brazil and at its ACG field in the Caspian Sea. The firm also recently paid cash to purchase the Barnett Shale field that is being developed. There are scores of other exploration and development companies followed by Standard and Poors and many of them are rated buy or strong buy. The reason most are rated buy is because, in addition to having strong earnings, they are having success finding more oil. I do not recommend these companies. The earnings are high but not likely to grow by much. Each drop of new oil is an increase in supply. The car ads this Labor Day Holiday were very different from last year. Last year, the focus was $12,000 discounts for monster SUV's. After the $12,000 discount the total price was still "big money". This year, there were scores of small car models offered and the total price of many of them was less than $12,000. Two years ago, people were paying above sticker for hybrids. The small cars being sold today get "approximate hybrid mileage" but cost half as much and in some cases 90% less. The bottom line is that supply-demand relationships have changed. Demand growth has slowed and supply growth has increased. Using two major companies to support the point: Exxon-Mobile replaced 116% of reserves over the past 3 years and will soon start the second phase of a major gas development in Qatar, while Ford Motor is closing down a number of low mileage truck production lines. The "bears" say the decline in oil price is due to the "coming recession". While it is true that world wide economic growth has slowed, we are no where near a world wide recession. In the US, companies are increasing research and development spending. Companies simply do not spend on R&D when they see a recession on the horizon. Business in many areas is booming. The bears growl about stagnant wages while nursing positions offering as much as $50 per hour are going begging. America has exported many low wage jobs but there are various high wage jobs in various industries available; lawyers are in high demand and software developers and petroleum engineers can right their own ticket! The bears counter that these are not manufacturing jobs which is similar to the bears arguments 100 years ago when farm jobs were being lost. America grows more food today than ever before and America produces more goods today than ever before. American exports are going out the roof! My reason for writing about the Gulf Oil Gusher and the strong economy in the same email is to demonstrate that it is not time to run for cover. Among the top performing stock sectors for the past three months have been defensive sectors such as consumer staples. Economically sensitive stocks, including transports and interest rate sensitive stocks, including home builders have done poorly. The likelihood is that home construction will not bounce back to the old highs any time soon but the transports will. Using airlines as the proxy for transports, the fear for airlines has been that the slow down in the economy would decrease traffic enough to more than off set the benefit of lower fuel prices. The numbers show that even after the latest terrorist plot and the resulting long lines at airports, traffic did not slow much. Continental ended the month of August with a 9.3% increase in revenue passenger miles and another increase in its load factor. The bottom line is gas prices and inflation in general will be tamed in the months ahead, while the economy gets a boost from the billions of dollars not spent on oil. This money will be spent on other things. Hold onto your hat because this is a great situation for stock holders to enjoy.